A seasoned veteran in the local real estate market for over 18 years, Sarah has made her mark as one of Denver's premier real estate agents with over $300 million in closed transactions since the start of her career. 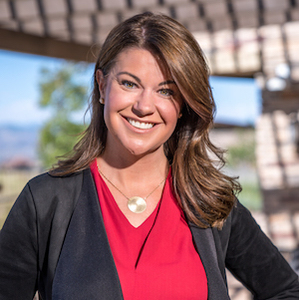 Sarah's thorough understanding of the local real estate market combined with an unparalleled work ethic and meticulous attention to detail has garnered her numerous awards for production and client satisfaction. She is a skilled negotiator who leverages her vast real estate experience and depth of marketing services to help you achieve your real estate goals with the least amount of stress possible. Sarah brings a welcome energy to her client base, which ranges from first time home buyers, to top corporate executives and elite athletes. She devotes herself to ensuring that every individual is attentively catered to in all aspects of the real estate transaction. Sarah uses her keen eye for design to help her clients to prepare their homes for sale to maximize dollar value and minimize time on the market. From thoroughly educating clients on market conditions to helping them with every facet of their real estate transaction, Sarah's honest approach equips both buyers and sellers with the knowledge to make well-informed decisions. Now more than ever, it is important to select the right broker who has a wealth of knowledge and a professional approach to negotiations. Look no further, Sarah's creative marketing campaigns and her extraordinary level of service will ensure that you achieve your real estate goals. And, to top it off, you might just have some fun through the process.